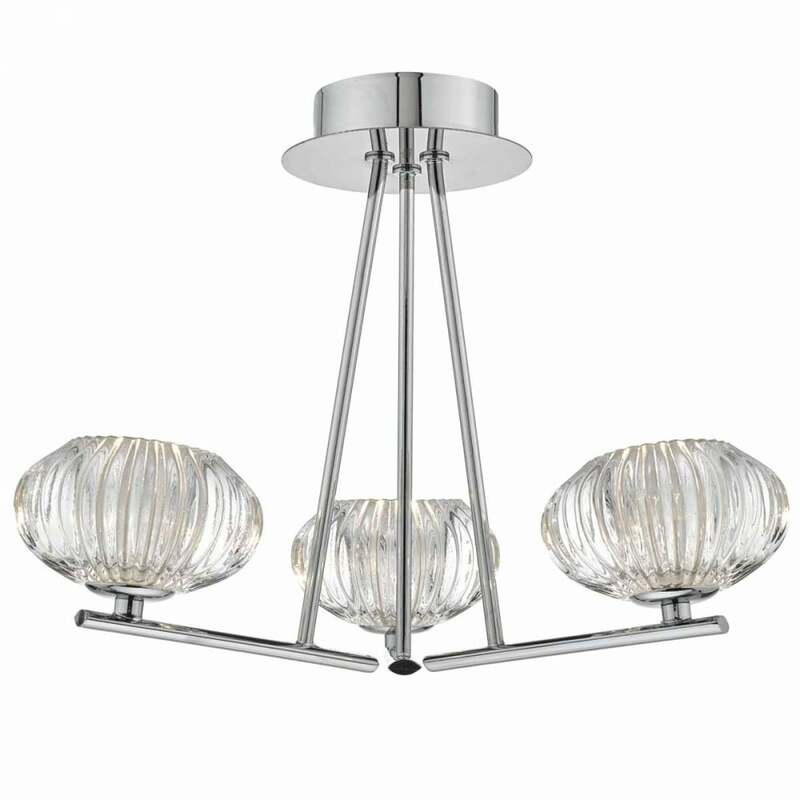 A contemporary and decorative design 3 light semi flush ceiling light in polished chrome with ribbed pressed clear glass shades. This would be great for lighting in a modern lounge or bedroom and would be ideal for those with low ceilings. This light is suitable for use on a dimmer switch providing the bulbs used are also dimmable.